A small coastal town and fishing port located within the autonomous county of Cornwall in the United Kingdom, Looe has become a very popular holiday destination for Britons and foreigners looking for a spectacular place to spend their time off. 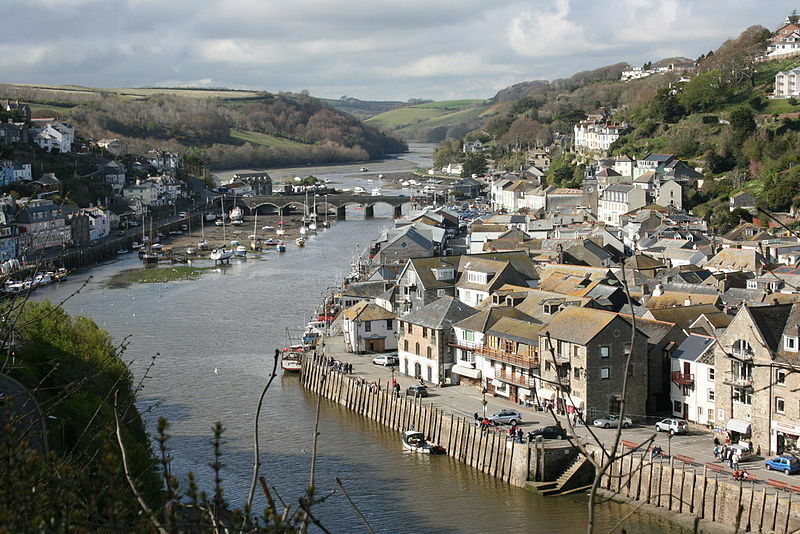 With an abundance of historical and natural attractions that can be found within the town and within a short distance of its center, the challenge is not finding things to do while holidaying here with your family, it’s figuring out what to do in Looe first. If you are the type of person that enjoys museums, then spending time at Looe’s Old Guildhall will give you a handle on life in this town over the years. Focusing on the history of fishing, boat building and smuggling in this region over previous centuries, there are all sorts of exhibits related to these elements of Looe’s past, such as model boats. The building that the museum is located in also used to be the town’s jail and courthouse, allowing tourists to observe holding cells and courtrooms that have been restored to resemble what they would have looked like in the age of when they were used for their intended function. Hikers will also enjoy taking a holiday in the Looe area, as one of the more spectacular coastal walks in the United Kingdom can be enjoyed here. Along the way to Polperro, walkers will be privy to sights that include tranquil farmer’s fields, sea stacks, isolated beaches, and bunches of wildflowers that have been hardened against the constant ocean breezes that sweep them day in and day out. Those fearing the walk back needn’t do so, as there are public transport options that will allow you to return to Looe after you have reached and taken a look around Polperro. One of the sites that you will see while you are walking to Polperro is Looe Island. Located a mile from Looe harbor on the mainland, this little speck in the English Channel has long been subject to rumors that it was visited by Joseph of Arimathea and his nephew Jesus during the little savior’s undocumented childhood. Christians in this part of Europe came to believe this story over time, making this isle something of a pilgrimage for many of the faithful over the centuries that followed his visit. Even if this factoid of history doesn’t interest you, making the trip over is still worth it, as this wildlife reserve is a refuge from the cares of modern civilization. First built to protect England against the threat of an attack by the Holy Roman Empire in the 16th century, St Catherine’s Castle has stood tall against a variety of threats over the years. It last found a use as a fortification for naval batteries positioned to defend against the Nazis during the Second World War, and was decommissioned afterward, as modern technologies rendered it obsolete. Fully restored to its former glory in the present day, history buffs will love the time that they spend here, and even those that aren’t as interested in castles will enjoy the views of the rugged coast that can be had from this vantage point.